Windows is complicated and needs many different system utilities and security tools to run well — or does it? We recently covered the many types of system tools you don’t need. Here are the few utilities you actually do need. When it comes to choosing an antivirus program, you don’t need a paid security suite with a huge set of additional built-in tools. Just get yourself a solid antivirus — you can do this for free. We like to recommend Microsoft Security Essentials for being free, lightweight, and not trying to upsell you to a paid security solution. 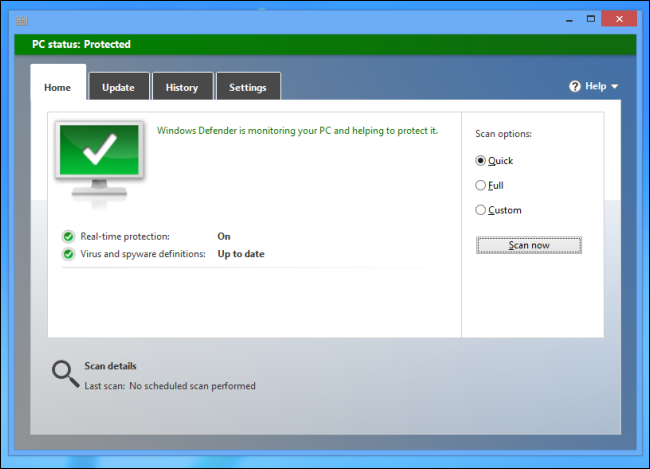 On Windows 8, Microsoft Security Essentials is named “Windows Defender” and is included by default. 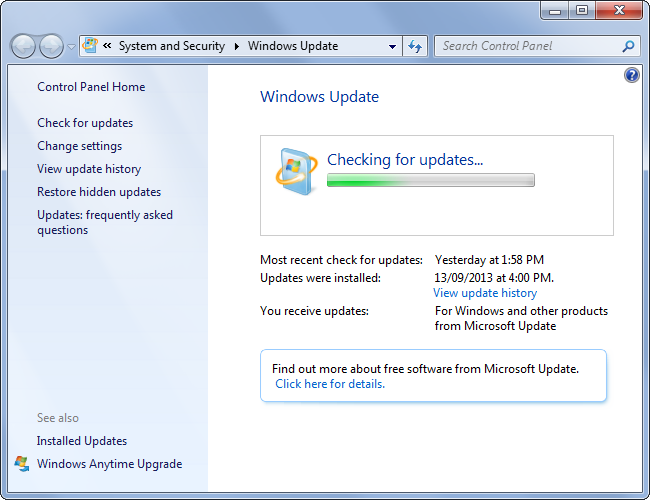 Microsoft Security Essentials hasn’t been getting the best ratings in comparative antivirus tests. If you’re worried about that, you should try the highly-recommended avast! free antivirus instead. Paid antiviruses would work, too — they just aren’t essential when good antivirus protection can be had for free. If you haven’t wiped out your computer’s temporary files in a few years, you may notice a speed increase after you wipe them out. Microsoft even says that having useless temporary files on your hard drive can slow Windows down. We recommend using CCleaner for this. It’s the best utility of its type, and it’s completely free. 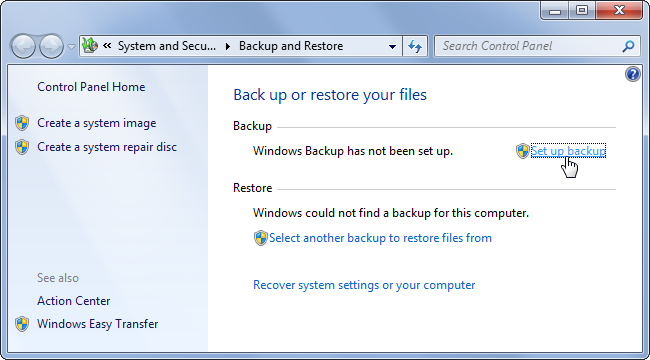 You could also just use the Disk Cleanup tool included with Windows. You don’t have to run these programs constantly — even once a week would be more than enough. Most people would even be fine using them once per month or even less often. But every Windows user would benefit from occasionally wiping out temporary files, if only to free up space on their hard drives. 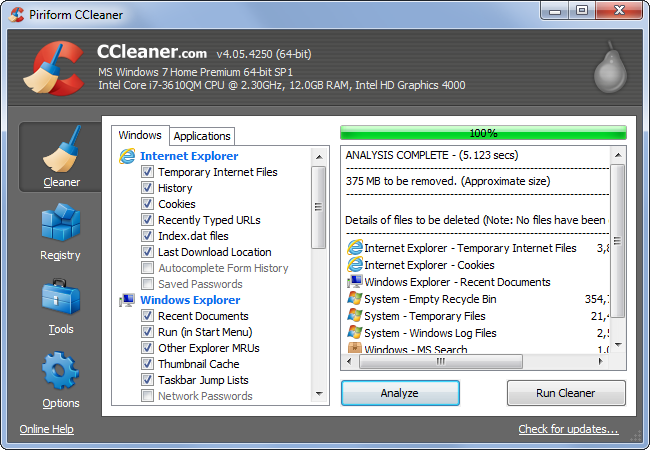 Don’t buy scammy, paid PC cleaning apps — use the Disk Cleanup tool included with Windows or get CCleaner. That’s all you need. If you have Java installed, uninstall it if you can. Java is a security disaster — most web users have an outdated, vulnerable version of Java installed. This is bad because most people don’t even need Java installed. Worse yet, Java tries to install obnoxious software like the terrible Ask toolbar when you install Java security updates. Disk Defragmenter: Windows automatically defragments your hard drives in the background. You don’t need to worry about this. If you’re using a modern solid-state drive, defragmentation isn’t even necessary. Firewall: Windows includes a built-in firewall that blocks incoming connections. You shouldn’t need a firewall that lets you manage outgoing connections — if you don’t trust a program enough to let it contact the Internet, you probably shouldn’t be running it in the first place. Phishing Filter: Whether you’re using Chrome, Firefox, Internet Explorer, or Opera, your browser has an integrated phishing and malware filter that helps protect you from bad websites. There’s no need to install a third-party one. Other system tools aren’t useful at all. For example, registry cleaners, driver cleaners, memory optimizers, game boosters, third-party uninstallers — these tools aren’t useful or important. Of course, many other system tools have situational benefits. For example, you may want to use a startup manager like the one built into Windows 8 or CCleaner to manage your startup programs. The above programs are the main ones average users need to worry about — if you’re a typical user, you don’t need PC cleaners, registry cleaners, or many of the other system utilities being pushed all over the web.